“There is nothing colder than a Christian who is not concerned about the salvation of others . . . . Do not say, ‘I cannot help others’: for if you are truly a Christian it is impossible not to help others. Natural objects have properties that cannot be denied; the same is true of what I have just said, because it is the nature of a Christian to act in that way. Do not offend God by deception. If you said that the sun cannot shine, you would be committing an offense against God and making a liar of Him. 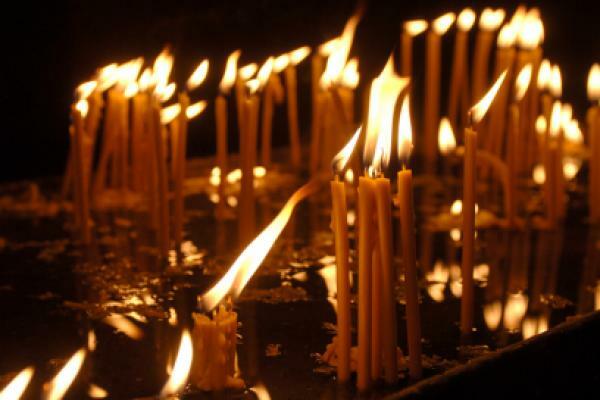 It is easier for the sinner to shine or give warmth than for a Christian to cease to give light: it is easier for that to happen than for light to become darkness. Do not say that that is impossible: what is impossible is the contrary . . . If we behave in the correct way, everything else will follow as a natural consequence. The Eastern Orthodox and Eastern-rite Catholic Churches venerate St John as one of the Three Holy Hierarchs, while in the Roman Catholic Church he is revered as a great Doctor of the Church. During his tumultuous tenure as Patriarch of Constantinople, he ran afoul of the Empress Eudoxia after criticizing her for her vanity, haughtiness and indifference to the plight of the city’s poor. He offended the imperial capital’s wealthy political elites by turning over their lavish gifts to him to the poor and exhorting them to repent of their dissolute lifestyles. Extremely eloquent and persuasive as a preacher, he earned his epithet meaning “the golden mouthed” from his numerous homilies and his masterful writings as a practiced ascetic and theologian. He is the principal author of the Divine Liturgy which bears his name. 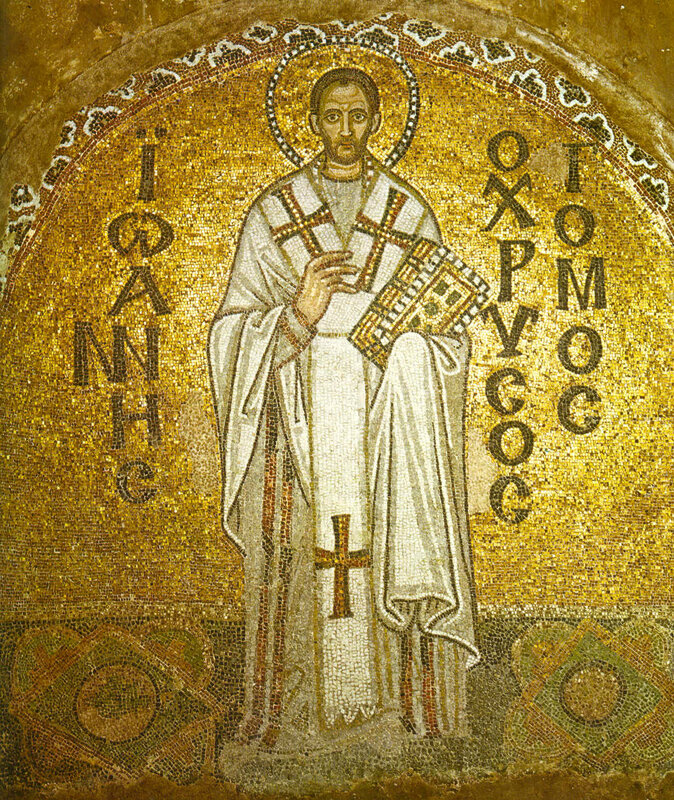 The Liturgy of St John Chrysostom is the most widely used liturgical form in the world today following the Novus Ordo ‘ordinary form’ of the Roman Catholic Mass, and among both Eastern Orthodox and Eastern Catholics, this Byzantine liturgical form is the most widely celebrated.